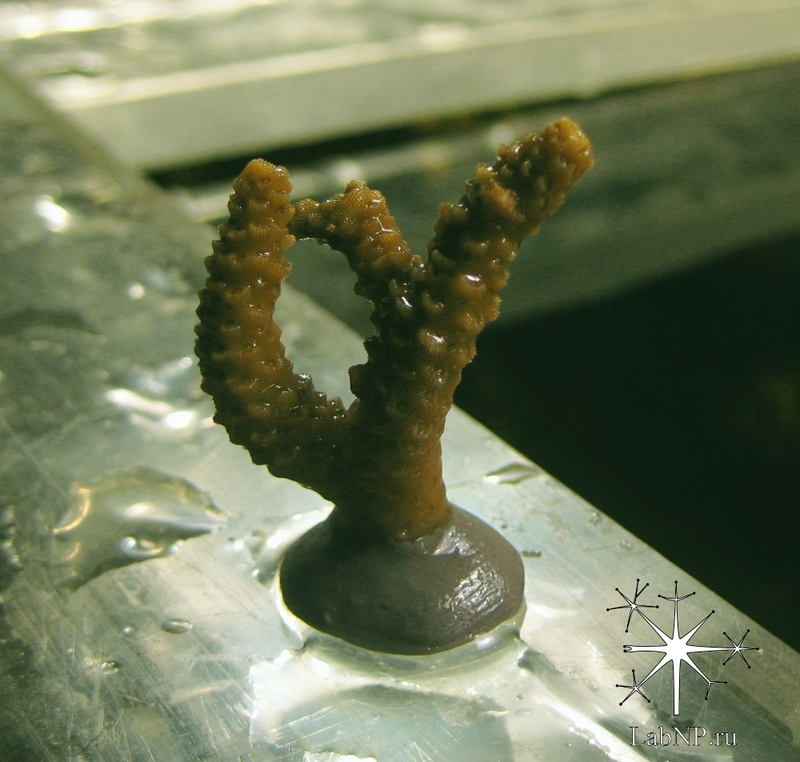 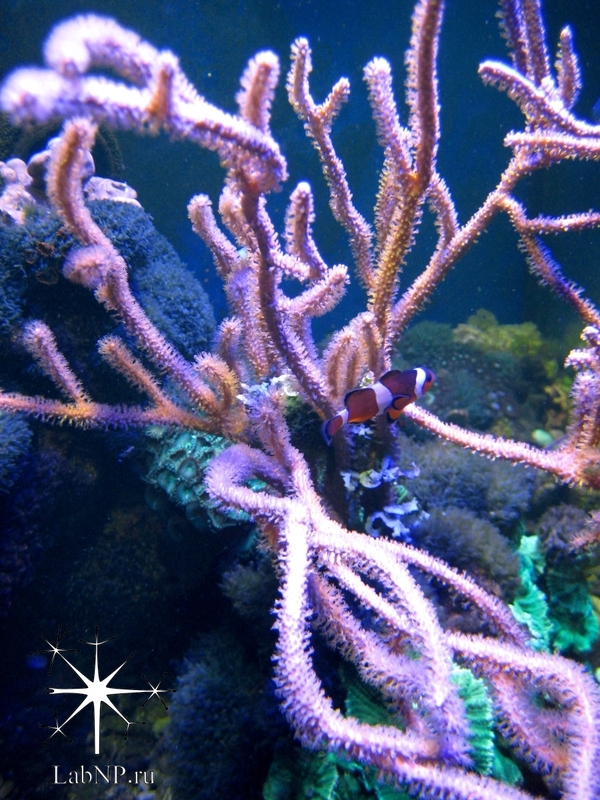 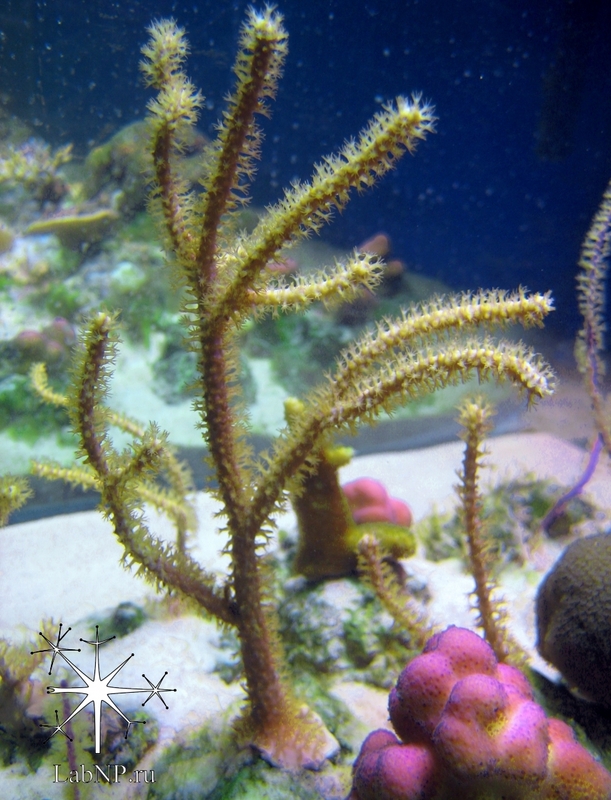 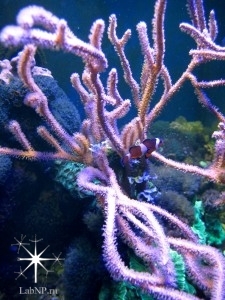 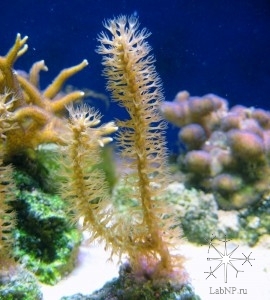 A new coral frag was fixed by epoxy to a substrate and then was transferred to the special aquarium. After a time the coral frag showed signs of the active growth forming its new tissues at its base and covering the epoxy. 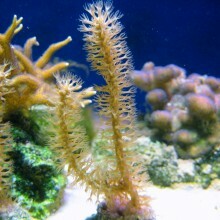 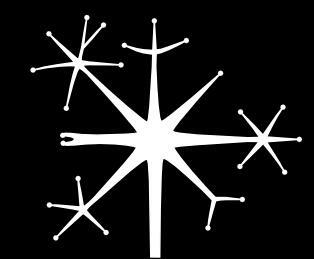 At this state the frag is ready to be introduced into the user’s aquarium. 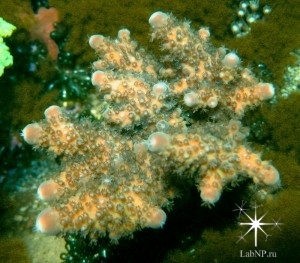 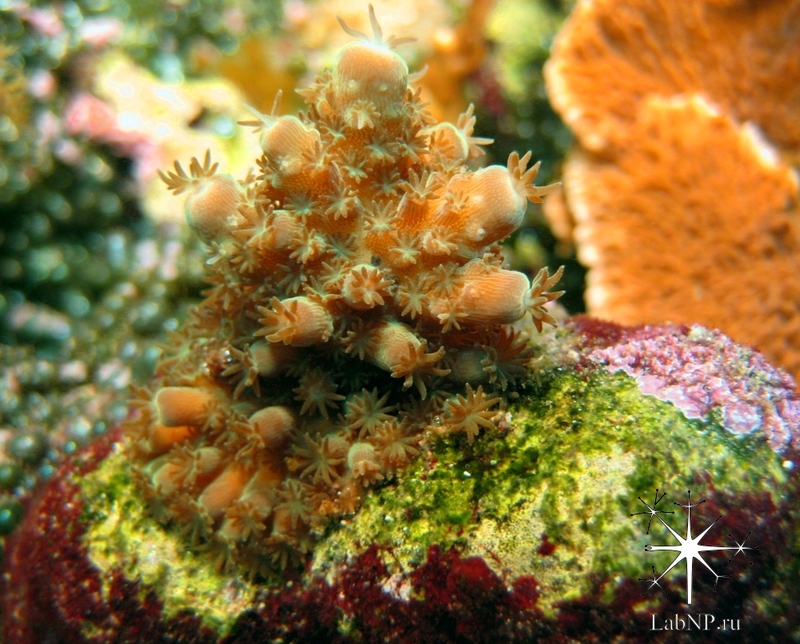 After several months of growth the coral frag became a completely independent new colony which possesses its diverse species-specific growth activity.